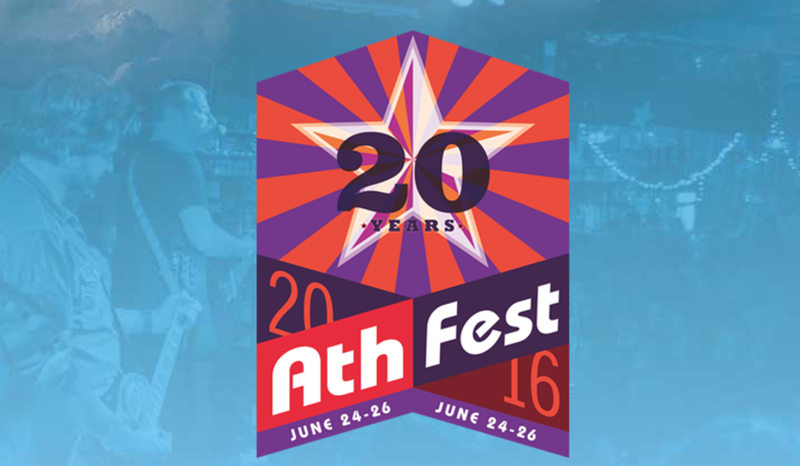 AthFest Educates announced the lineup for outdoor stages at the 20th Anniversary AthFest Music and Arts Festival, as well as headliners for the wristband-only shows of the Club Crawl Friday and Saturday nights after the free outdoor stages shows are over. 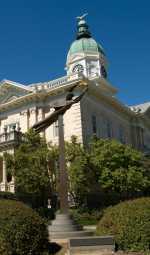 The festival takes place in downtown Athens June 24th-26th, with affiliate events starting June 22nd. Kevn Kinney (of Drivin&apos; N Cryin&apos;) will kick off the festival Friday night on the main stage at 5pm. He’ll be followed by Athens Cowboy Choir, Wrenn and then headliners Family and Friends. On the second Hull St. stage Jim White and Friends get things started at 6:00pm, followed by T.S. Woodward, and Wanda. The free outdoor part of the festival wraps up Friday night with a dance party in the beer garden with Booty Boyz. Saturday’s music starts at noon on the main stage with Repent at Leisure (Celtic Pub Band) followed by The Welcome Home, Grassland String Band, DANK, Orquesta Macuba, Trae Pierce & The T-Stone Band, Randall Bramblett Band, and headliners Arrested Development. The outdoor festival wraps up with a dance party in the beer garden with Chief Rocka. The Hull St. stage Saturday includes The Welfare Liners, Dodd Ferrelle and the WinterVillains, Nifty Earth, The Norm, Caroline Aiken & Shadow C.A.B., Reverend Conner Tribble & the Deacons, and Timi and Wonderland Rangers. Sunday’s lineup starts with String Theory on the main stage, followed by Partials, Son & Thief, Five Eight, Monsoon, and headliner Kishi Bashi. On the Hull St. stage, Kayla Berrie starts things off, followed by Monkier, AthFest Educates Presents…Zenith Blue, Darnell Boys and Yip Deceiver!. After the free outdoor festival stages close Friday and Saturday nights, the AthFest Club Crawl begins. Friday night at the 40 Watt includes headliners Mothers, with The Black Lips headlining there Saturday night. The Georgia Theatre lineup features co-headliners The Dexateens and The Coathangers Friday night, and Elf Power Saturday night. This year’s shows at Georgia Theatre and 40 Watt are wristband-only, meaning attendees are required to have a wristband to enter. Wristbands get attendees into over a dozen venues with 100 plus bands, and are on sale for $25 until June 1st when they go up to $30. Wristbands can be purchased online at athfest.com or at Wuxtry Records, Low Yo Yo Stuff Records, Athens Welcome Center and Georgia Theatre. AthFest Music and Arts Festival is a fundraiser for AthFest Educates, a nonprofit that advances high-quality music and arts education for local youth and the Athens community through direct support of school and community-based programs and events, including the annual music and arts festival.